Both [Pat McCrory & Roy Cooper] saw a spike in donations on March 23, 2016, the day the North Carolina General Assembly held its one-day special session to pass the controversial bill, which McCrory signed into law later that evening. 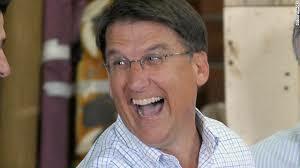 McCrory pulled in $89,410 on the day he signed HB2, more than four times his daily average prior to the bill’s passage. His fundraising dropped off the next day, averaging less than $10,000 a day over the next week. Cooper saw his fundraising spike on March 23, when he raised $72,861, more than twice his daily average prior to that day. That momentum continued into the next day, when he raised $83,931 and through the remainder of the week, when he averaged more than $42,000 each day. The day after the United States Department of Justice said HB2 violates federal civil rights laws Cooper brought in $100,511, his campaign’s best day up to that point. The same trend has had more mixed results for McCrory. After raking in nearly $90,000 the day he signed HB2, his campaign has usually seen donations trend downward when the controversial law was in the news. After averaging more than $20,000 a day through the first month of the quarter, the McCrory campaign collected just over $2,500 combined during the two days after Bruce Springsteen announced he was canceling his concert in Greensboro. So there is a monetary downside to bigotry enacted as public policy ... and footnote: When your bigotry is costing you big bucks, where do you go? Why, on Fox News naturally, where bigotry is financially remunerative.